In the latest issue of Wildfowl (their annual gear issue), a boat was featured in the boat section that has captured my attention. Called the "Marshtoon," it is from the good folks at War Eagle - purveyors of duck boats for decades now. 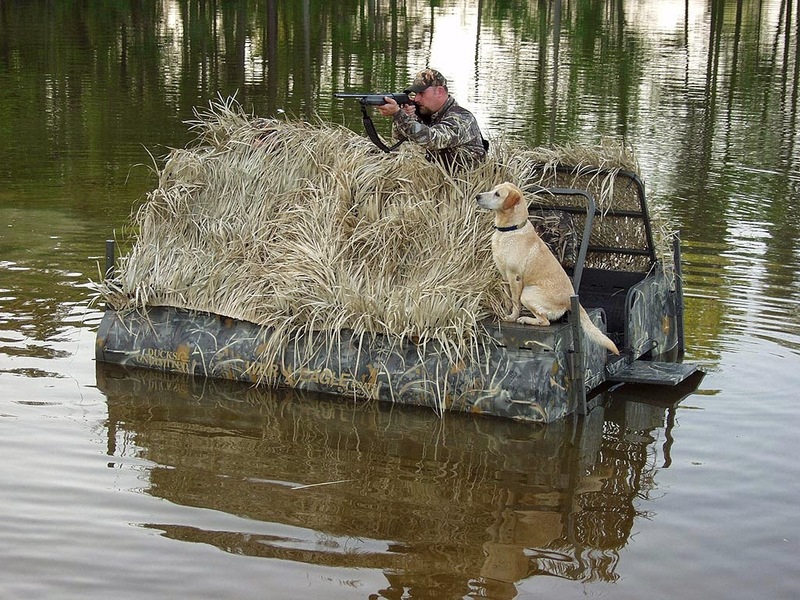 It's basically a floating platform, and while it appears to be a pain to maneuver, if a guy were able to get placement in a specific location for the season (and keep other hunters out of it), it would be a hell of a rig from which to hunt. You can check out more information on the boat/platform/blind by clicking here.